The manufacturing skills shortage prompted this question, put by a customer to Haas Operations Director, Andrew Ward. 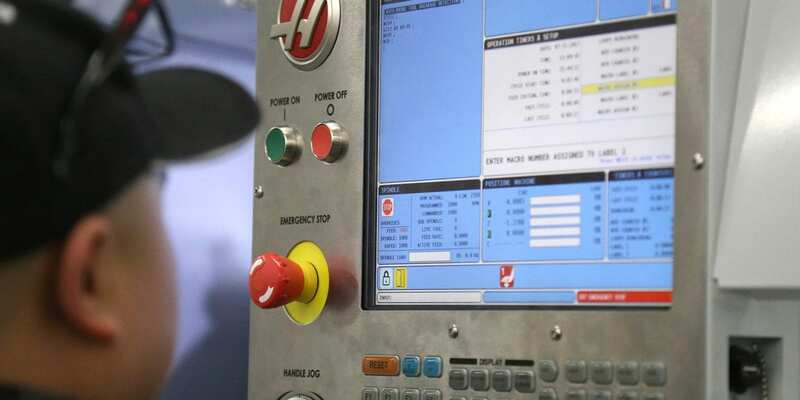 This led Mr Ward to ask himself: can Haas take people with no engineering background or training and within a specified period, teach them to set up and operate Haas CNC machine tools so they could be productive within an engineering company straight away? 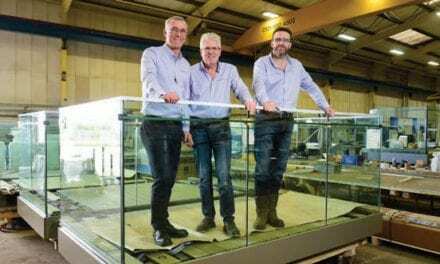 Mr Ward talked this through with Haas customers Richard and William Bridgeman from Warren Services Ltd, which has well regarded in-house training programmes at their precision engineering facility in Thetford. Keen to set up a pilot scheme in a local college, an exchange of ideas with Gary Jefferson at West Suffolk College (WSC) and Julia Nix from Department of Work and Pensions (DWP) soon developed a course of action. Haas engineers train customer personnel around the UK every day of every working week and given their comprehensive knowledge, experience and expertise, it stood to reason that those same Haas engineers could take this training to a new level. A target training period for the pilot scheme was set at 12 weeks. Funding for two Haas Modular Mini Mills was secured and an order was placed by WSC. Available at just £19,995, the compact machines are ideal for schools and colleges, equipped with a 4,000rpm spindle, 10 pocket tool changer and a fully-featured, industry-standard Haas CNC control. Together with assistance from the local Job Centre, Warren Services, West Suffolk College and DWP began the selection process for suitable trainees. The successful candidates were all in receipt of Jobseekers Allowance and had no previous experience within the engineering industry. Haas and WSC agreed that the weekly training would be split, with Haas tutoring two days and WSC doing three days per week for the first pilot course. WSC would take over for future courses, with support from Haas. Running from October to December of 2018, the pilot scheme was notably rewarding with a 100% pass rate. The successful trainees are now in full-time paid employment with Warren Services; making an active contribution to the company’s production as operators of their Haas CNC machine tools. The success of this pilot course has led to the DWP and WSC able to recruit a further group for the second course, which is now underway and already lining up candidates for the third course. Further, the initiative is attracting attention from other training providers across the UK, keen to duplicate the model. Within Haas, expansion of its training and education program will concentrate on an ‘Advanced Manufacturing Seminar’ schedule. Monthly seminars held at the Hethel Engineering Centre, on the outskirts of Norwich, will be giving advanced training on specific aspects of manufacturing, including probing techniques with Renishaw, CAM programming with Autodesk and Industry 4.0 Connectivity presented by William Bridgman from Warren Services. The partnership of Haas, Warren Services, West Suffolk College, Job Centre Plus and The Department of Work and Pensions has resulted in a truly unique solution to the manufacturing industry’s skills shortage and provides a model that can be transferred to other skills including turning and welding, something being actively pursued by the group.